Tracy Aviary - Tracy Aviary Salutes! 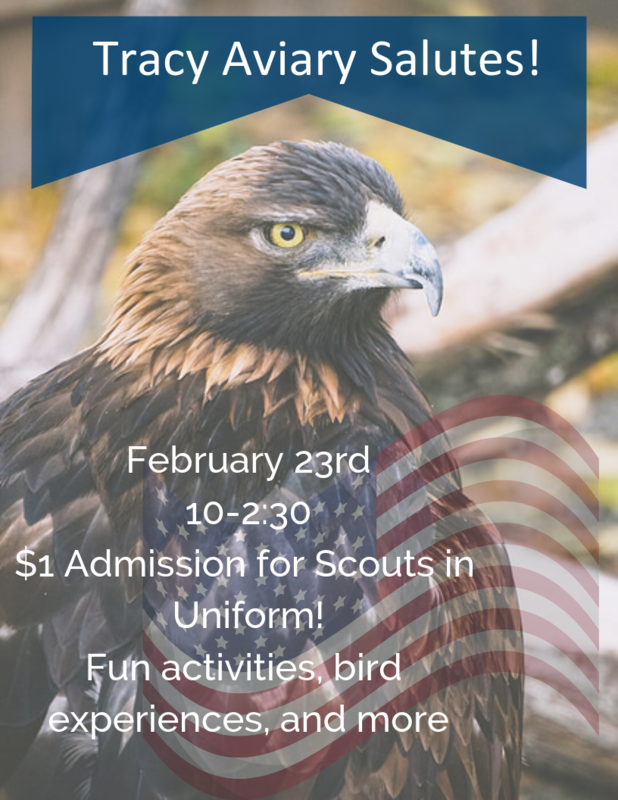 Join Tracy Aviary for a day dedicated to scouts! Come partake in our fun scheduled activites, check out a bird experience, and enjoy $1 admission all day long to any scout who arrives in their Cub Scouts, BSA Scouts, or Girl Scouts uniform! While you're here you can also learn about our upcoming spring badge programming and find out how you can earn your very own Tracy Aviary Institution Patch.